Lemont, Illinois native Christian Vande Velde, riding for Team Garmin-Chipotle, won Stage 3 Individual Time Trials of the Tour of Missouri in Branson this afternoon. His victory on the difficult 18 mile Branson course propelled him into the Tour of Missouri overall lead. 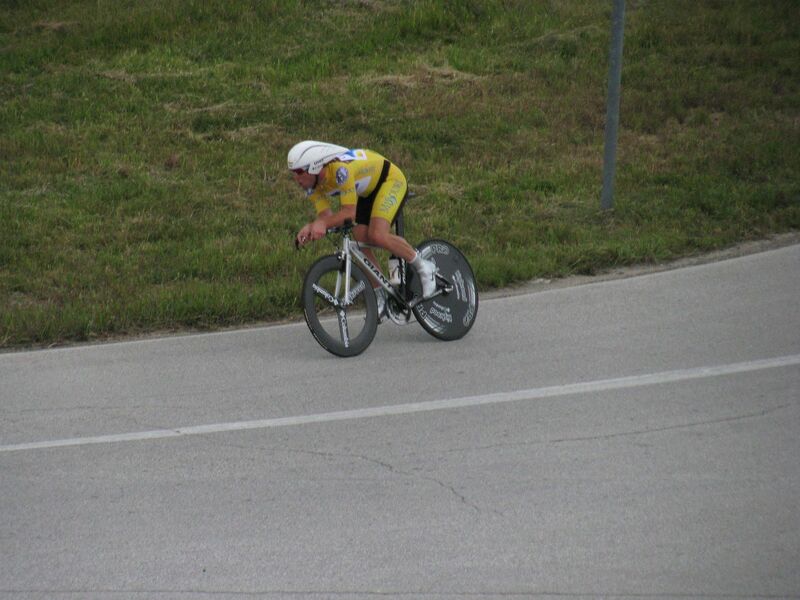 He completed the hilly Ozarks course in 39 minutes 52 seconds, 20 seconds ahead of Australian and three-time world time-trial champion Michael Rogers of Team Columbia. Svein Tuft of the Canadian Symmetrics team was third with a time of 40:25, and defending champion George Hincapie (USA) of Team Columbia was fourth. 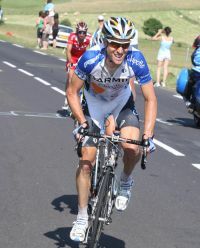 Vande Velde, 32, has enjoyed a fruitful 2008 including a 5th overall finish at the Tour de France and a 3rd overall finish at the 2008 Tour of California. Great Britain’s Mark Cavendish, who wore the yellow jersey as the winner of the first and second stages of the Tour of Missouri, finished more than four minutes behind Vande Velde. Vande Velde photo courtesy & copyright of Team Garmin-Chipotle.